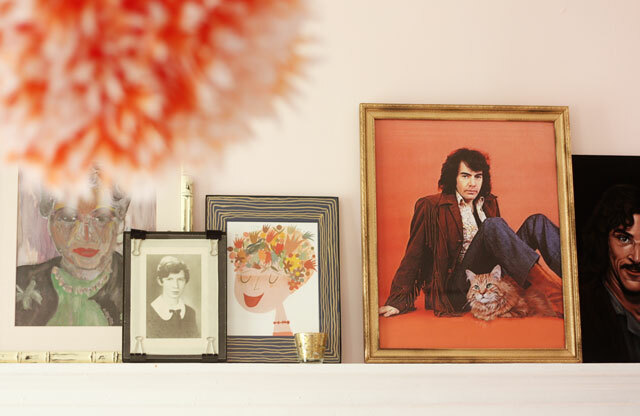 What is cooler than a formal portrait of Neil Diamond? 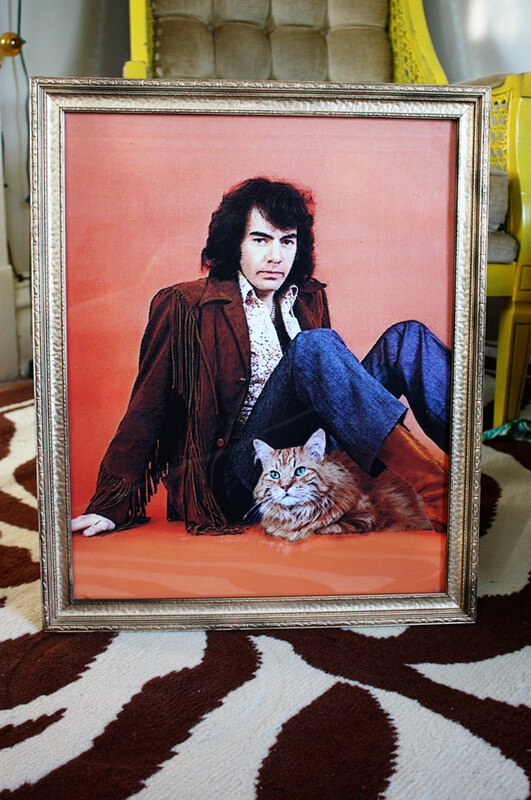 A formal portrait of Neil Diamond wearing leather fringe posed with my cat Lola. ﻿﻿﻿﻿﻿﻿﻿﻿﻿﻿﻿﻿﻿﻿﻿﻿﻿﻿﻿﻿﻿Thanks to Neil, Lola, Photoshop, and a fabulous Uprinting canvas print, my latest acquisition will be the envy of all the neighborhood. Something tells me portraits of celebrities and cats is an untapped trend just waiting to explode! Now I know what you are thinking: Why Neil Diamond? It’s a long story. But it appears, whether I like it not, Neil Diamond is writing the soundtrack to my life. And given this fact, naturally, his image should hang in my dining room portrait collection along with other friends and family members. Also, he has really good eyebrows and they are a welcome presence on my wall. Plus, I saw him in concert last week and I was in the mood. Again, I know what you are thinking: That picture of Neil Diamond must have been taken 40 years ago, how’d your cat get in there? And how’d you get it blown up so big and fancy looking? Tip For Photoshop Users: If you are seriously considering doing something similar at home, the secret to making it look real is to choose photos with no shadows or very little shadows at all, then shade a few small ones in with the burn tool. Nothing reads as phony as a ‘shop job with shadows from two different light sources. Just avoid them all together if possible. Also, I added a couple of sketching filters on top to help blend the two photos and make it look real *authentical and hand sketched on the canvas. *Spellchecker is telling me authetical is not a real word. Seriously, Spellchecker, we need to work on that. The whole concept for this piece came about when I was approached about trying out Uprint — an easy to use online printing service. They take your images and print them on everything from postcards to business cards to Tshirts and everything in between. It took me exactly 106 seconds to open, upload and order a 16×20″ rolled canvas print of my image, costing approximately $35.00, including shipping. Disclosure: This post is sponsored by Uprinting so I did not have to pay anything this time, but even if I did, I think $35 is a pretty great price for this quality of piece. Canvas prints start at under $14.00 and the canvas is nice and soft — not at all like the vinyl/plastic type of image printing I have ordered before or tried at home (several times actually — I’m dead serious y’all, this is good stuff). In fact, if I wasn’t amassing a portrait collection in the dining room, I would be tempted to sew this canvas into a pillow. Or tote bag. Is a Neil Diamond and Cat tote bag crossing the line? Would I be deemed a crazy person? Do I even care? This project has given me some ideas for custom gifts for friends and family members down the line. I have a friend from work who uses his “World’s Greatest Grandpa” mug like it’s going out of style — I’m thinking it would be fun to have it put on real official looking business cards with his contact information. Oh man, he would hand those out left and right. 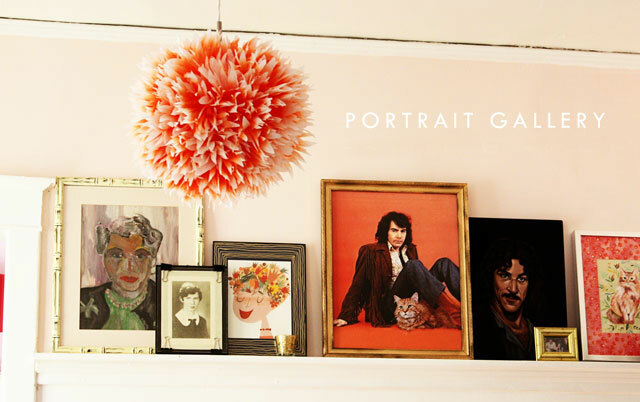 16×20″ is a standard size frame — it was easy to find something snazzy at the thrift store for under two bucks! Many thanks to Uprinting for sponsoring this post, providing a great product, and most important– prompting me to create something special that will be treasured for years to come. No, seriously: Thank you. This was fun. 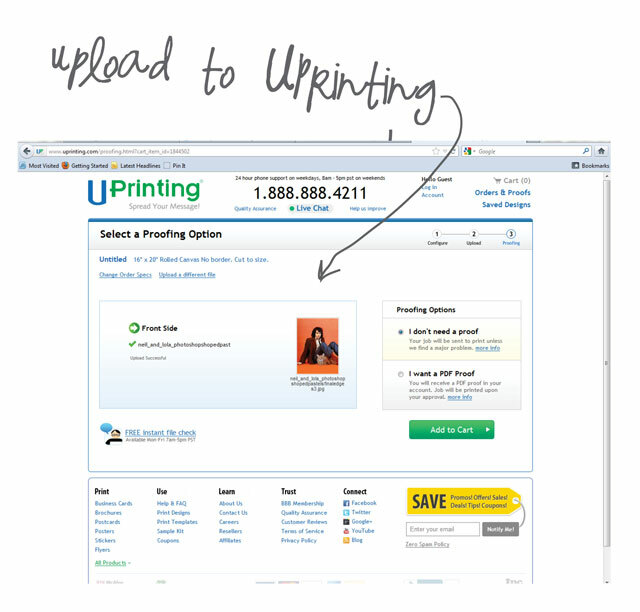 Click here to order a Uprinting canvas print of your own. Connect with them on Facebook Twitter Pinterest. there are no words. i love it so much. Except that he’s the one with the record player! I could get him to put it on a cd for me. I’ve been trying to decide what celebrity would go best with Pedro and Fuzzles – black and orange. Haha. You are too funny, Heather 🙂 Thanks! You know, I nearly wrote about you deciding between Neil and Roxie…. but I didn’t want to risk rubbing it in. I mean, Neil Diamond vs. a pug in a raincoat? Talk about Sophie’s choice! HAHAHAH. Oh my gosh, Peaches. 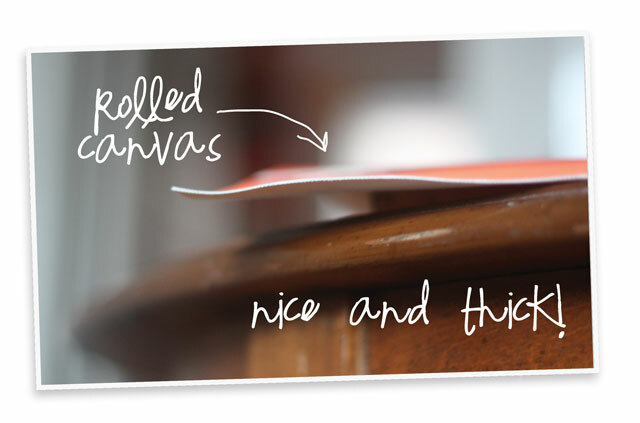 This cracks me up as the most epic way to print a canvas ever. I am now going to try to promote this via every viral social media channel i can find. I’m so jealous right now that I’m green. I’m going to need Roxie on a rolled canvas print with Neil and I need your help. Oh God, this is so amazing I want to throw myself off of a bridge. That _is_ hot August awesome! I had a Neil Diamond record (Hot August Night) long ago that played, over and over, for hours. I think my son now has it along with all my old records. Now I’ll be humming ‘Sweet Caroline’ all day. Hmmm…I think that my black manx cat would look especially dashing with Stevie Nicks…. 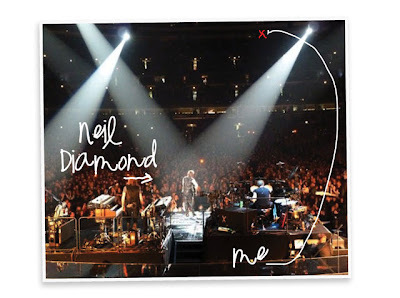 I have read your long story about Neil Diamond and enjoyed it, i want to say thanks for sharing this great post and the resource of the story. it’s really a nice post, keep it up..